RTÉ Sport has secured the rights for the three major AIBA boxing tournaments, beginning with the European Men’s Championships in Bulgaria this week and also the Men’s and Women’s World Championships in October 2015 and February 2016 respectively. A seven-man Irish squad including Michael Conlan, Joe Ward, Darren O’Neill and Adam Nolan will be competing in Samokov from this weekend as they attempt to become the top amateur boxers in their weights. Sessions will begin at 1pm and 5pm (Irish time) on each day of the competition, which runs until 15 August. Live TV coverage is only made available from the semi-final stage in Samokov – and all bouts involving Irish fighters will be available live on RTÉ 2 and RTÉ Player from Friday. Darragh Maloney will be joined by Mick Dowling, Michael Carruth and Bernard Dunne in studio for the Europeans on Friday, with Hugh Cahill reporting from Bulgaria. The World Championships will also be available on RTÉ2 and RTÉ Player, with full live and highlights schedules to be announced at a later date. 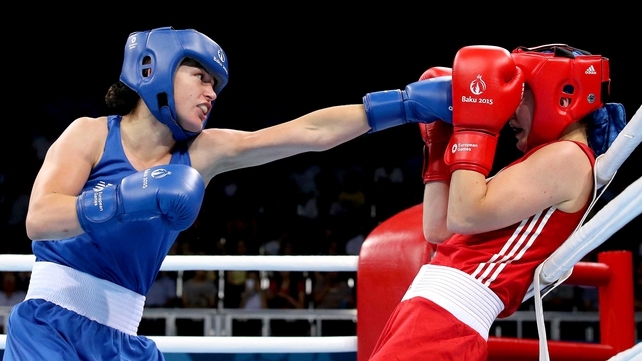 Details regarding coverage of the AIBA Women’s World Boxing Championships will be announced later this year. “We are delighted to confirm that RTÉ has secured these boxing rights as part of what is an already substantial schedule of major Irish and international sports events for this year and into 2016,” said RTÉ Head of Sport Ryle Nugent.